Competition: Win two Warner Bros. Blu-ray boxsets! Dr. Bill Dunsmore: [clears throat] Would you, um, would you like to talk about why you attempted to kill yourself? 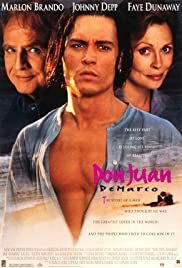 Wholly different the usual fare Hollyood dished up in the nineties, DON JUAN DEMARCO is charming and disarming. 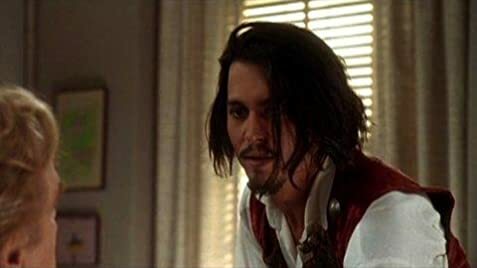 The screenplay seems lovingly crafted around the two stars, Marlon Brando and Johnny Depp. They share scenes of relating, discovery and moving, personal respect. Mr. Brando shows easily, why he is still one of America's leading thespians. Faye Dunaway as his wife, is marvellous beyond words. The interplay between these three characters is a spirit lifting tour de force, that will leave you holding hands long after the screen has gone dark.